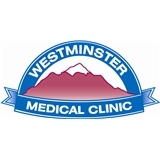 Westminster Medical Clinic (Westminster) - Book Appointment Online! Westminster Medical Clinic provides comprehensive, coordinated, and personalized, whole-person care and works with the community to support healthier living. We seek to provide exemplary, high-quality and accessible primary care within a healing environment. Your health is important to us! We specialize in Family Medicine. Our Physicians are board certified in the specialty of Family Medicine. This requires three years of training after medical school in areas of internal medicine, pediatrics, gynecology, surgery and other medical specialties. The Physician Assistants and Nurse Practitioner are also board certified. They are qualified to diagnose and treat common medical problems and work under direct physician supervision. Katie was so professional and immediately made me feel comfortable. Highly recommend her. I am very excited that I found her. She was amazing. She is SO SWEET. And shes actually trying to help me, not just pass me prescriptions.